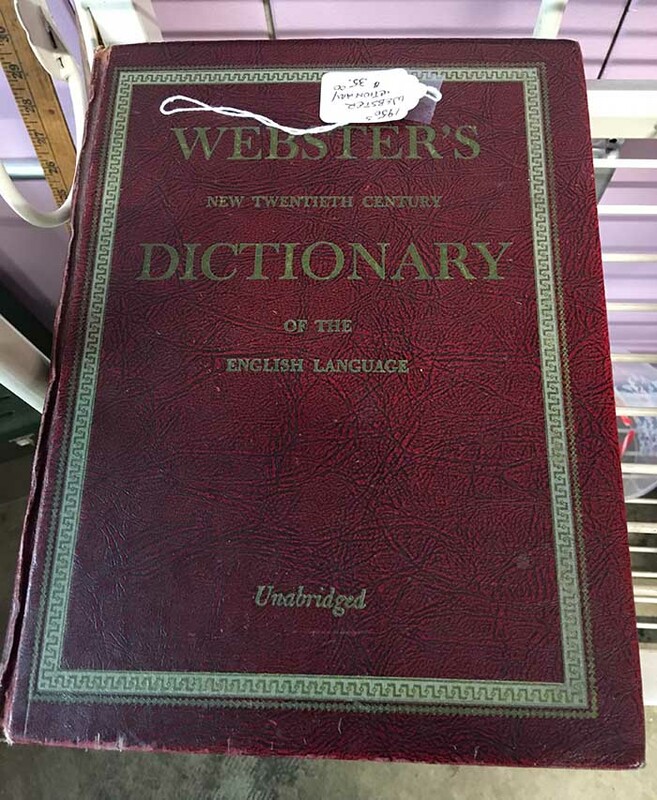 When I spotted this Webster's at an antique mall, I took the opportunity to find my new theme for a poem. 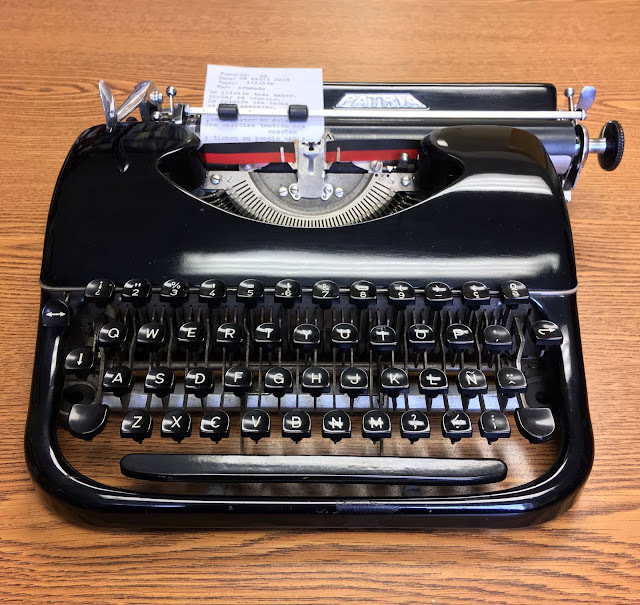 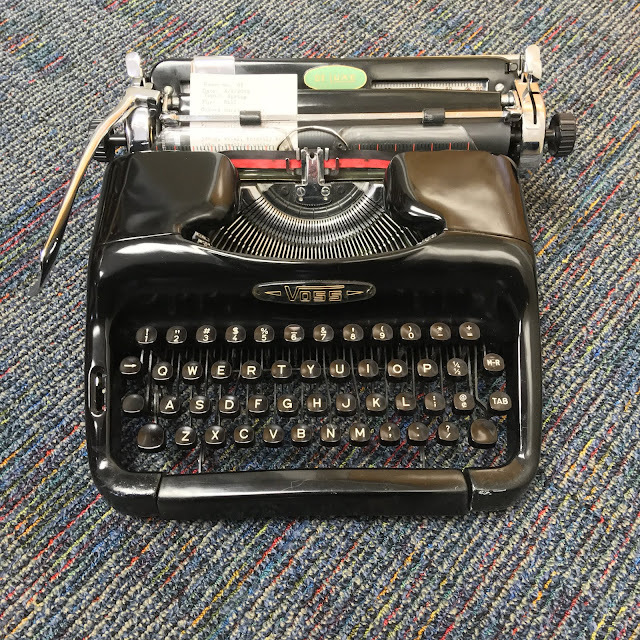 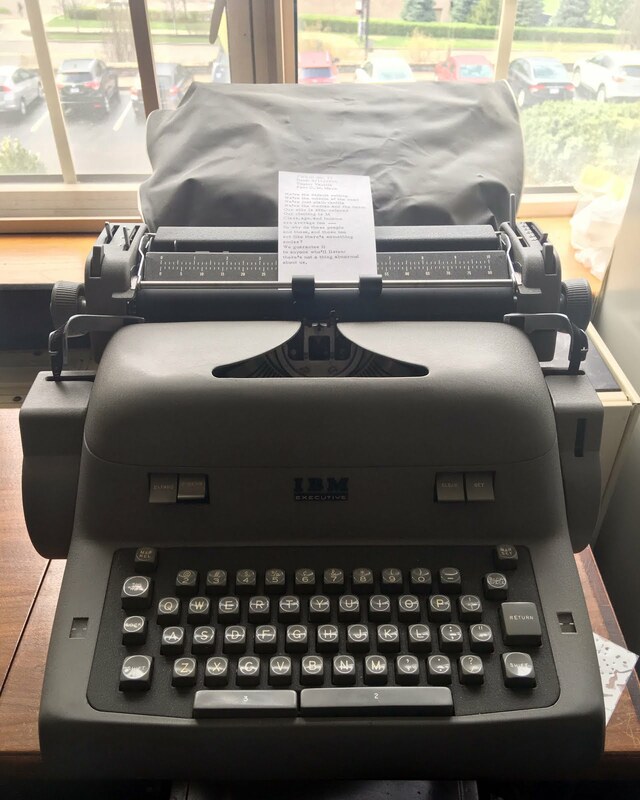 I also picked up a device for writing a poem: a 1950 Royal KMG for only $35. 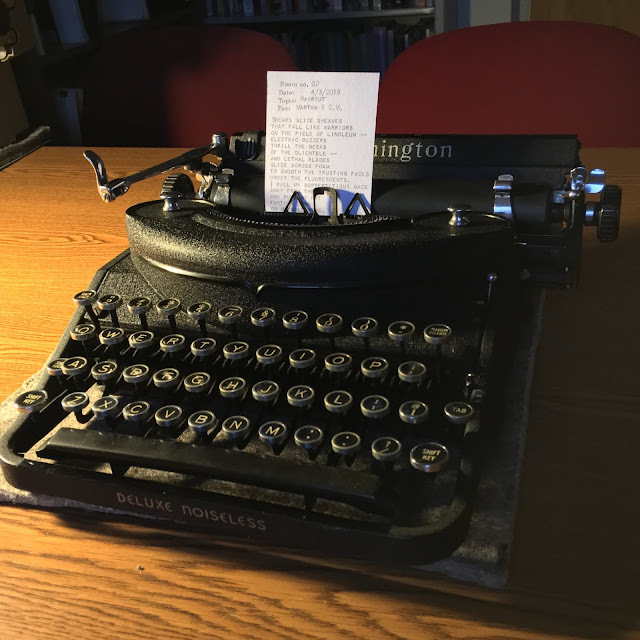 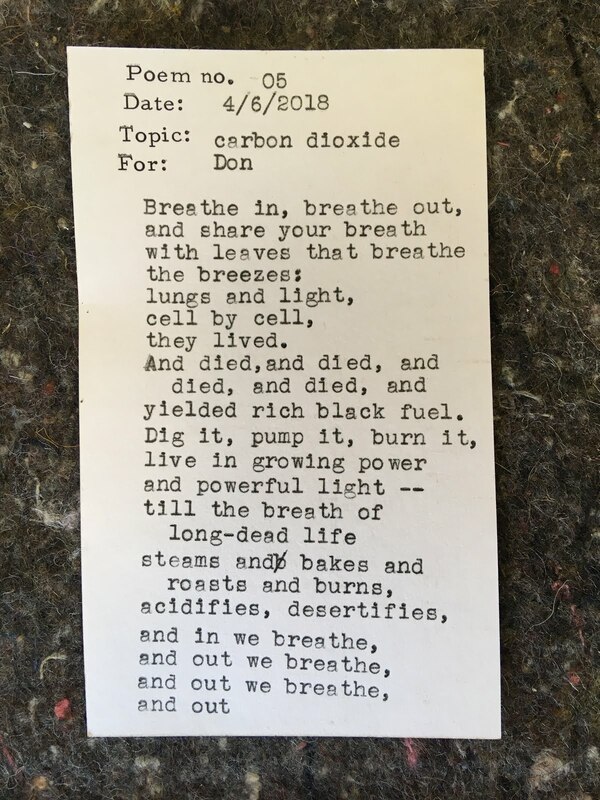 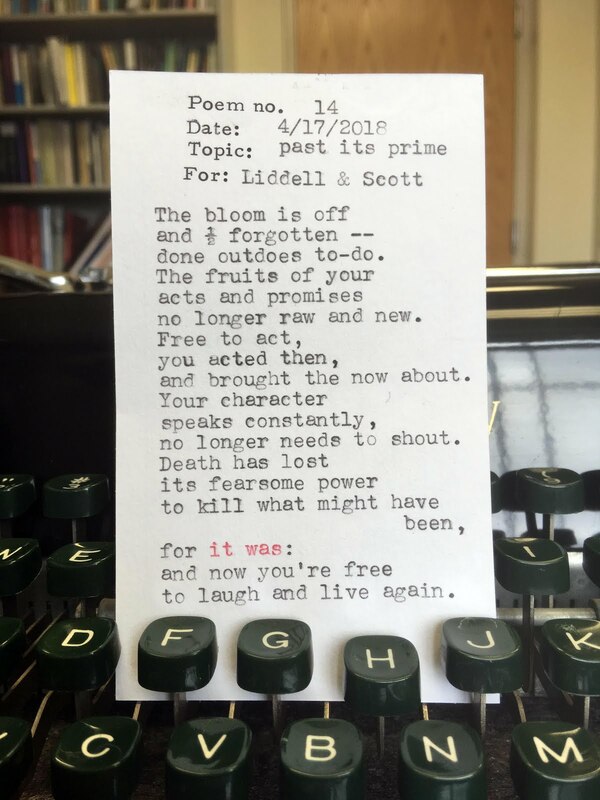 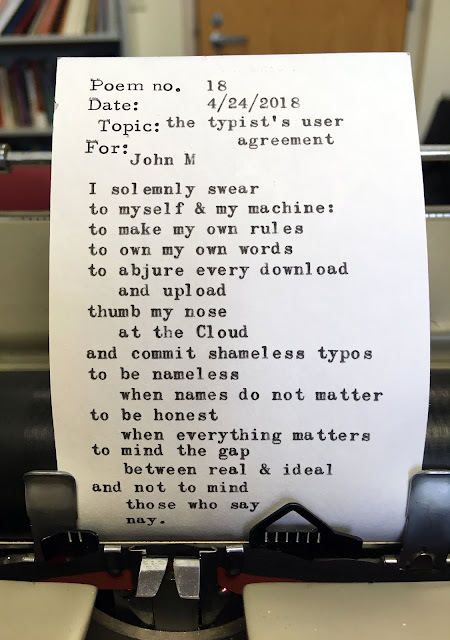 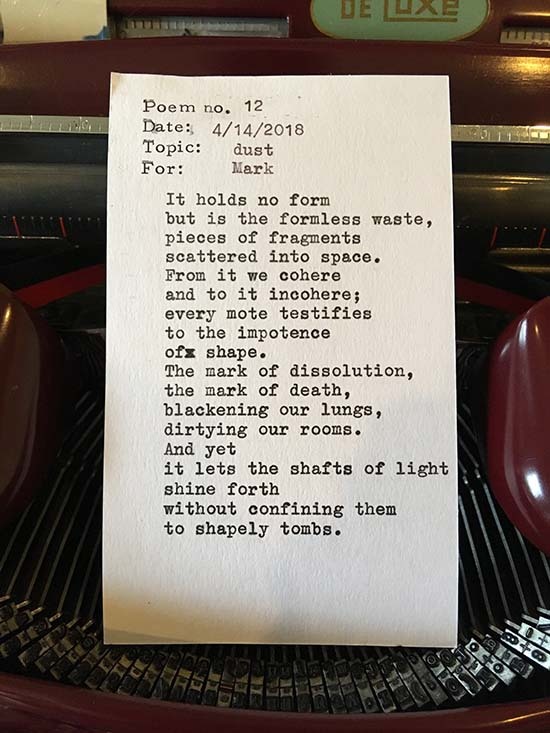 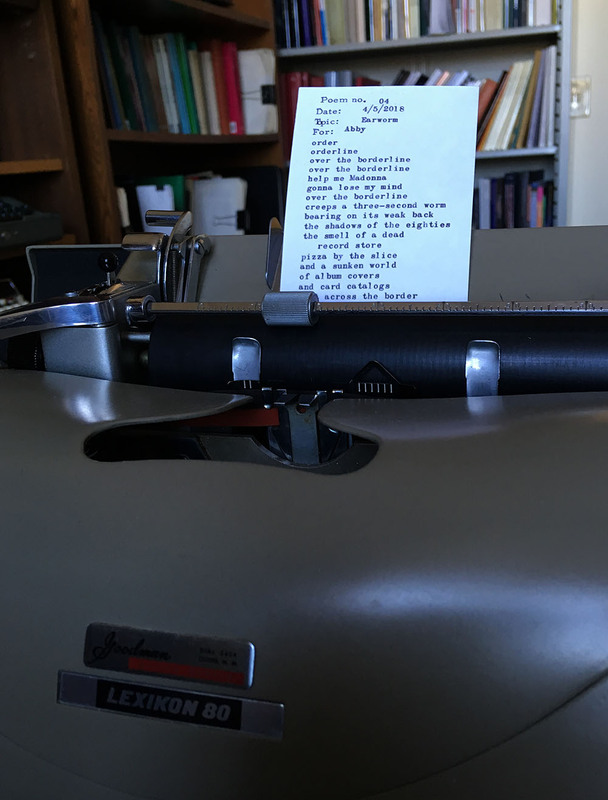 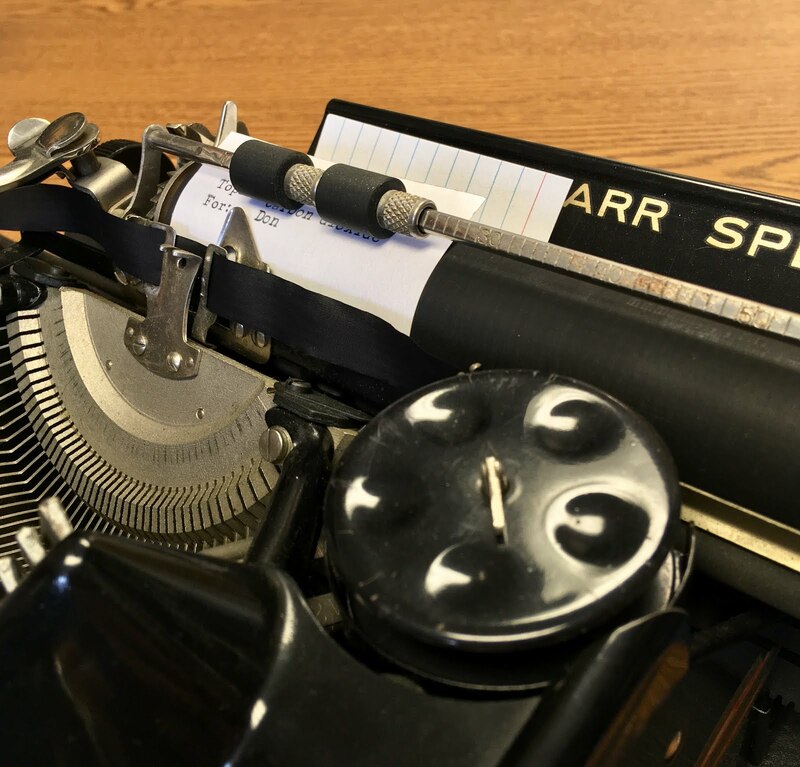 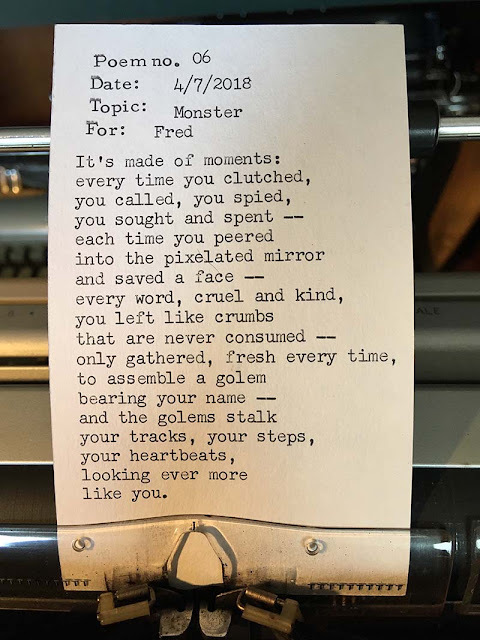 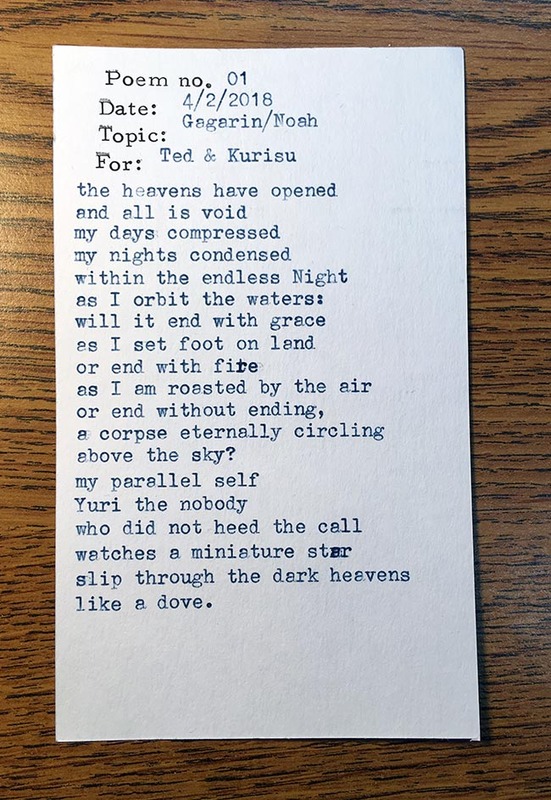 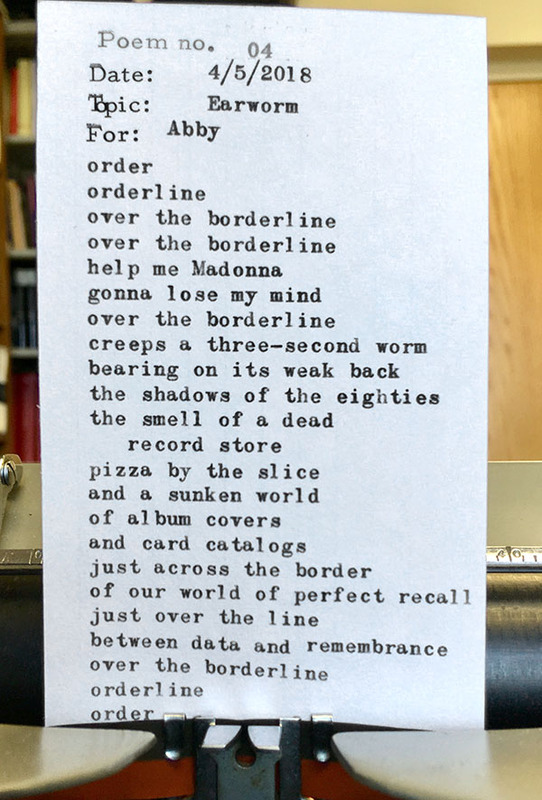 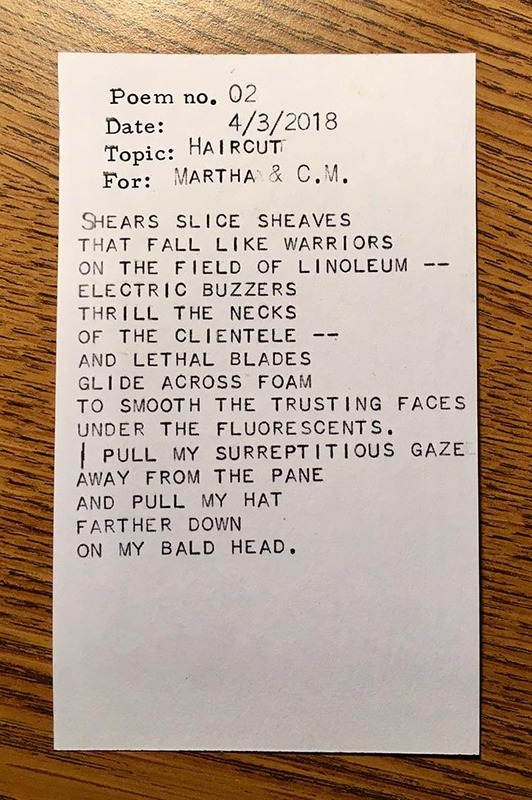 I cleaned the typewriter, equipped it with a new ribbon, and used to write comments on a batch of student papers as well as this poem. 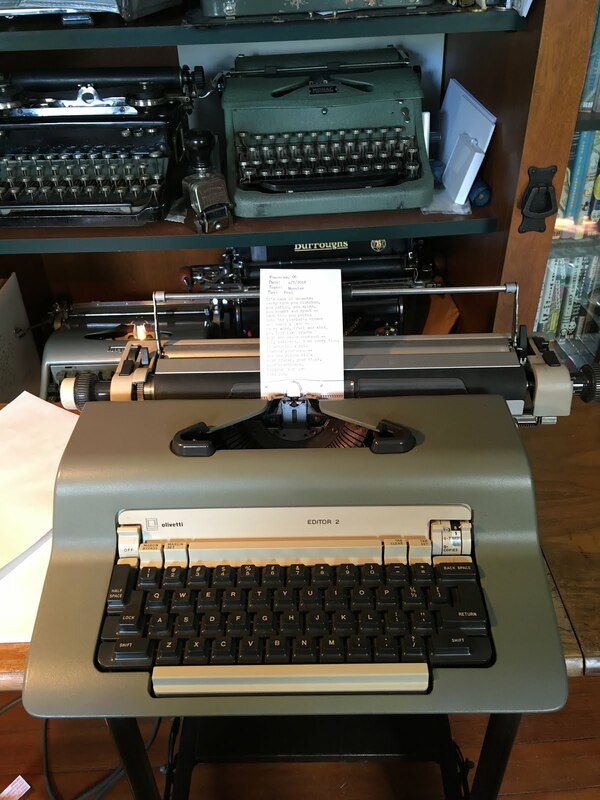 Tomorrow it goes on sale at Urban Legend Typewriters. I continue to invite readers to propose themes for poems. 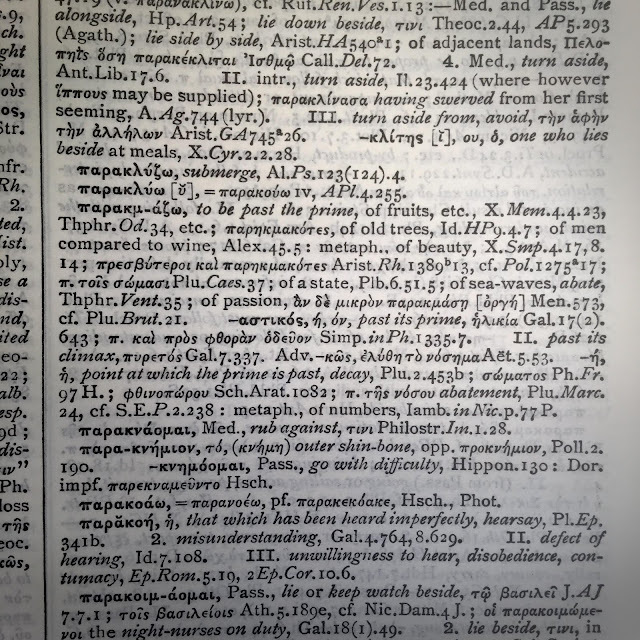 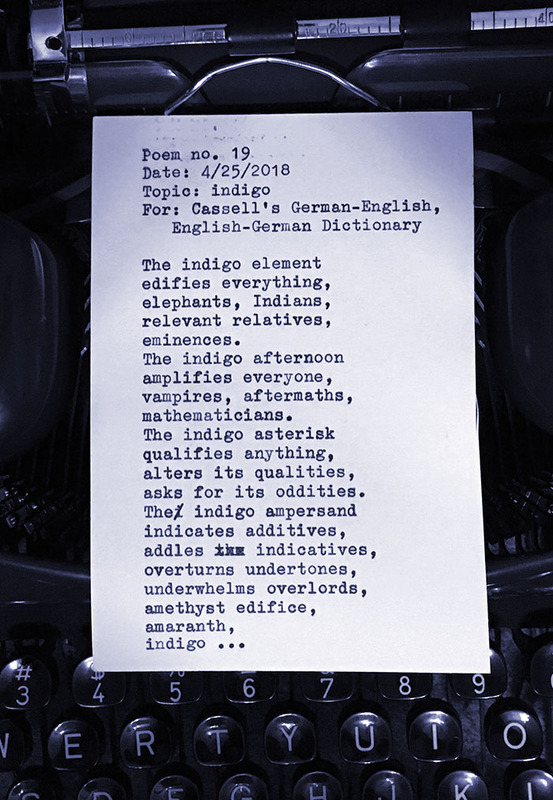 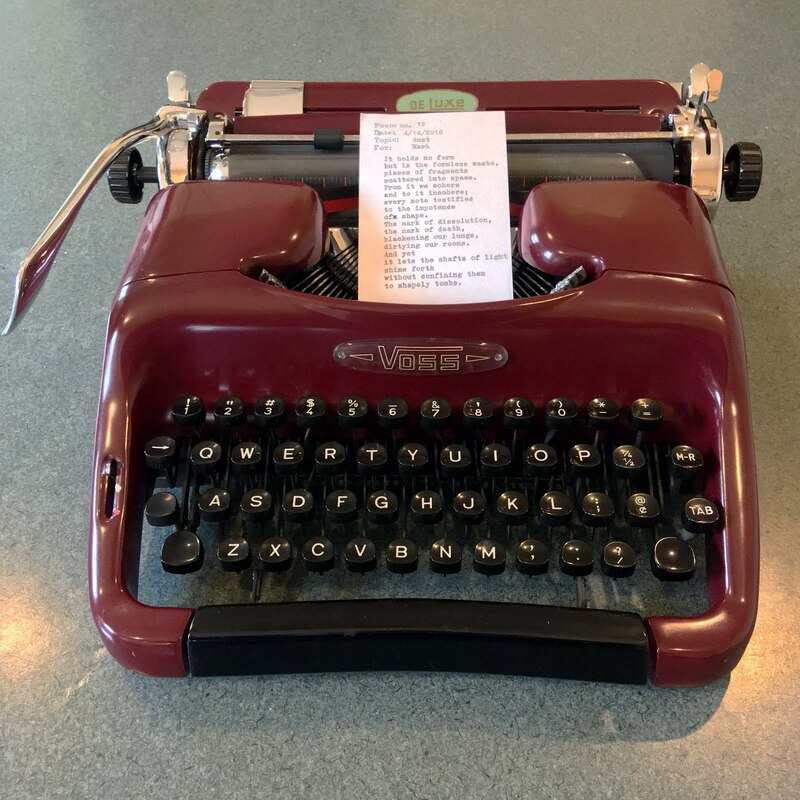 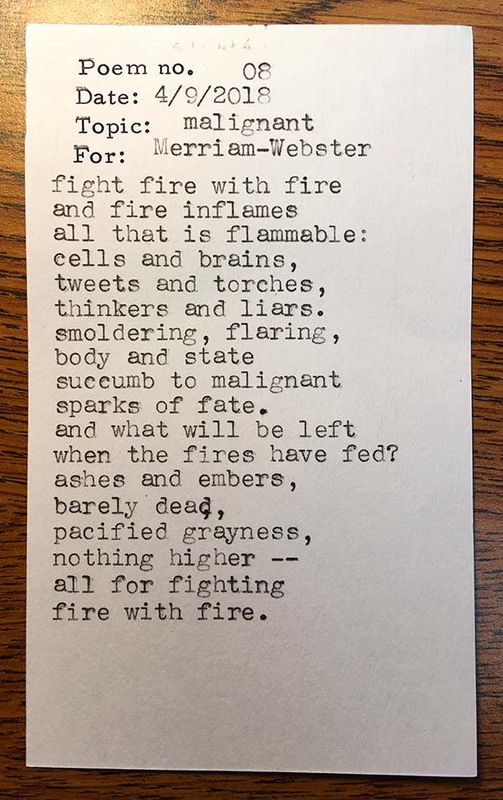 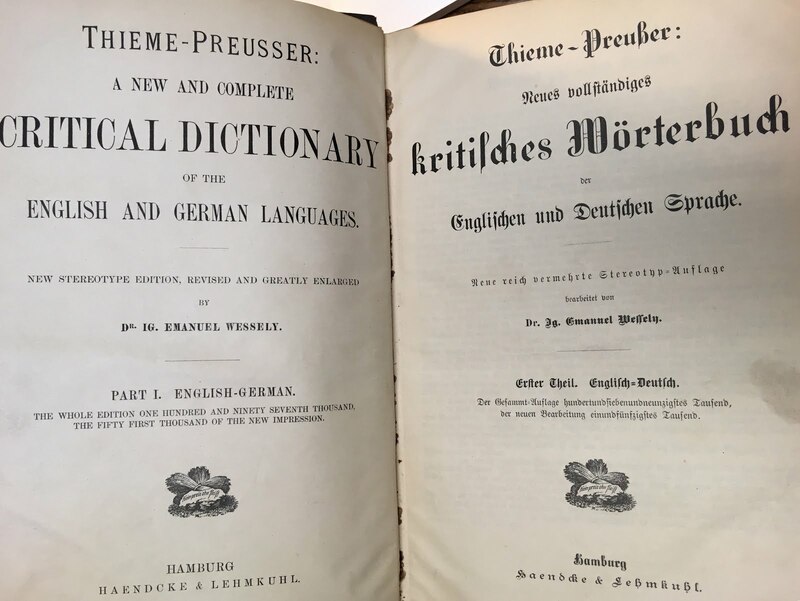 Mexican typospherian Armando Warner (creator of a new blog, The Mechanical Typewriter Page) opened his own dictionary at random to provide my new poetic challenge. Translation: All knowledge is illicit. To violate is to know. 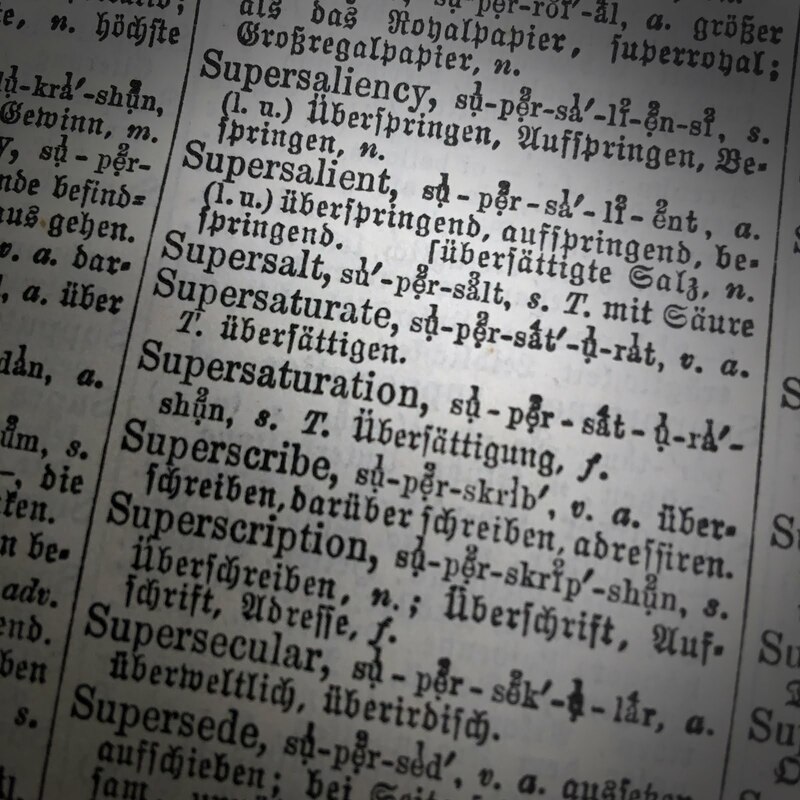 Opinion without a struggle is mere appearance. — But is there knowledge without love? 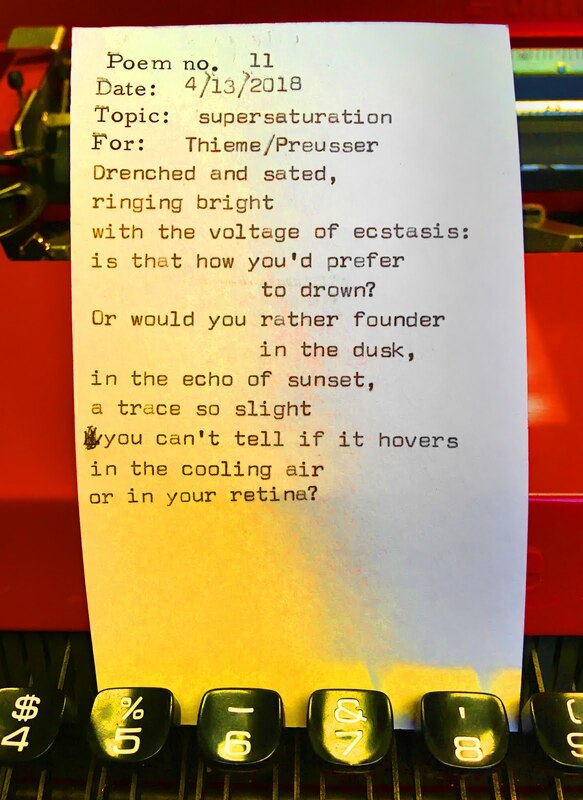 Is pain required? 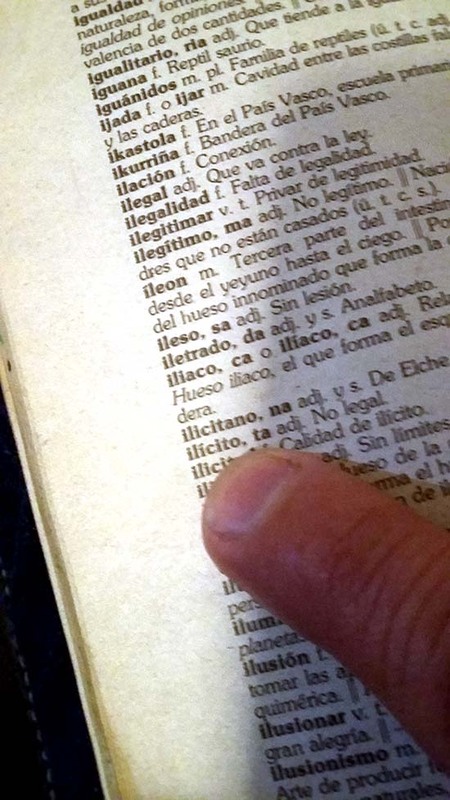 Caresses also teach us and have their own flavor. 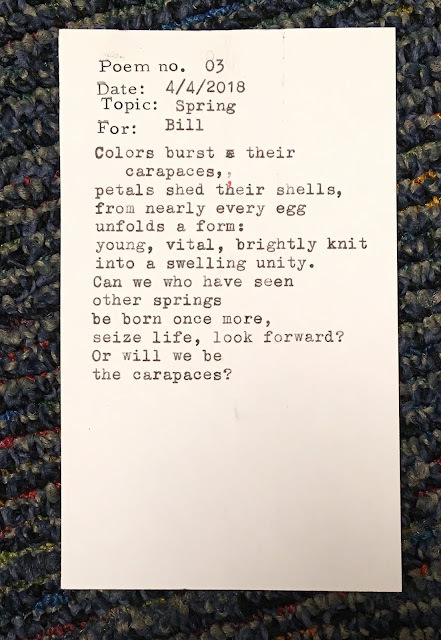 Fred e-mailed me this topic. Again, my next poem will be based on suggestions from readers in comments. 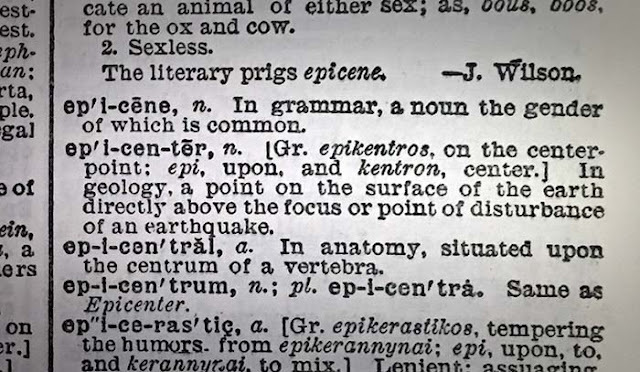 If there are none, I'll open the dictionary at random. 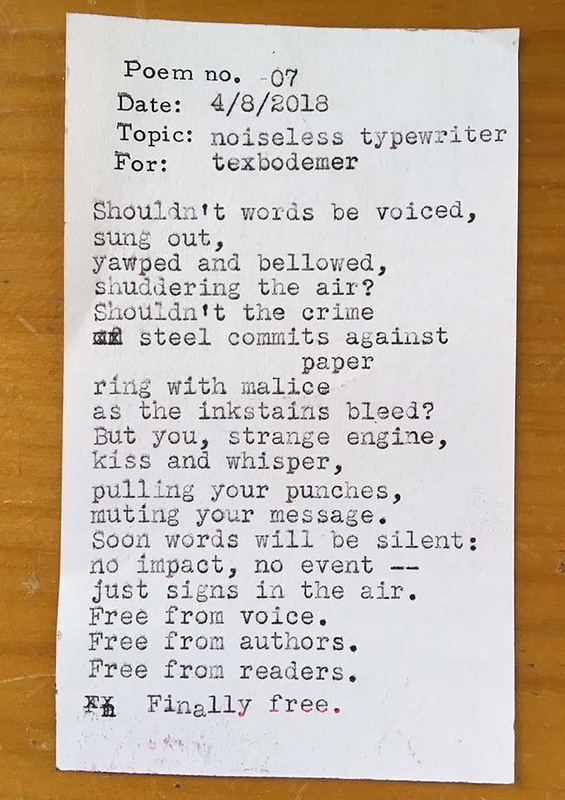 What a great set of suggestions from readers! 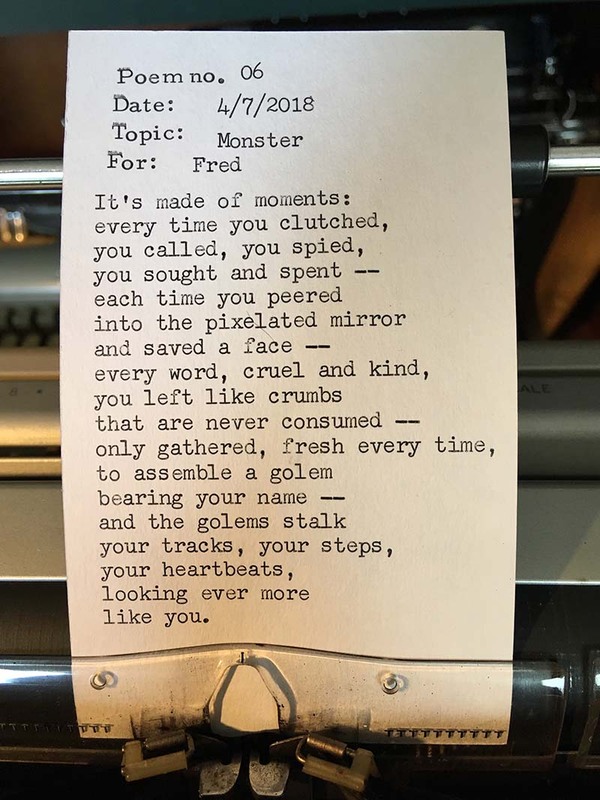 My first poem combines two of them. 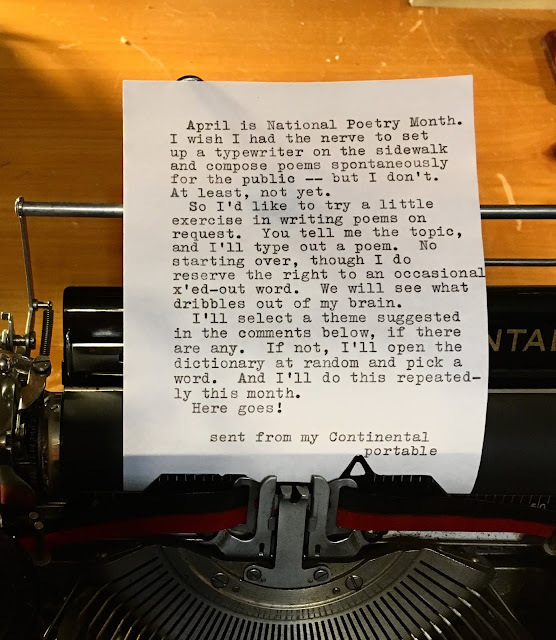 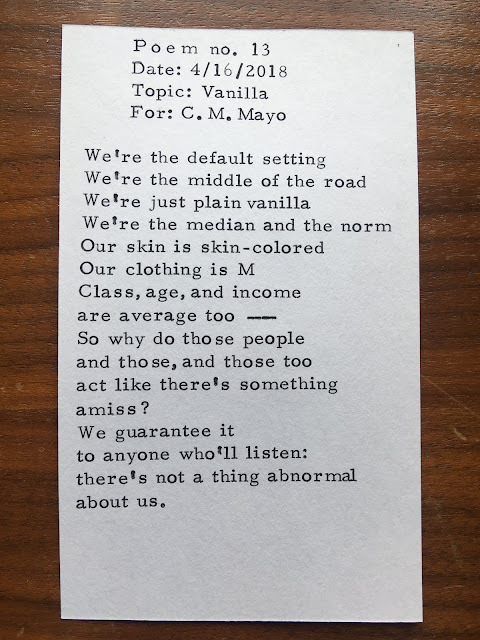 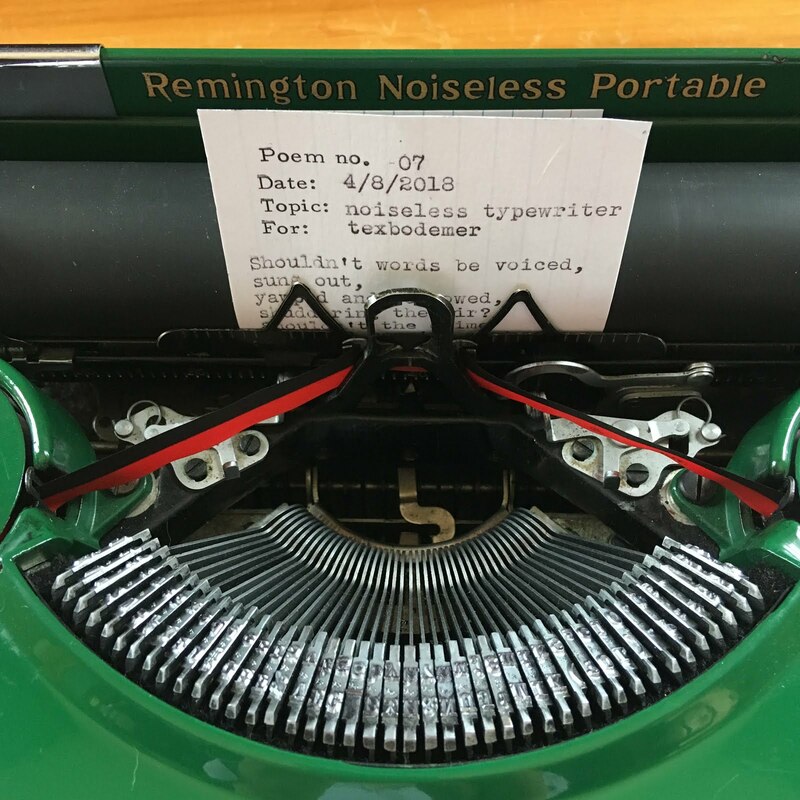 Again, the rules for this National Poetry Month project are that I must type my next poem based on a theme (or themes) proposed by readers in comments. 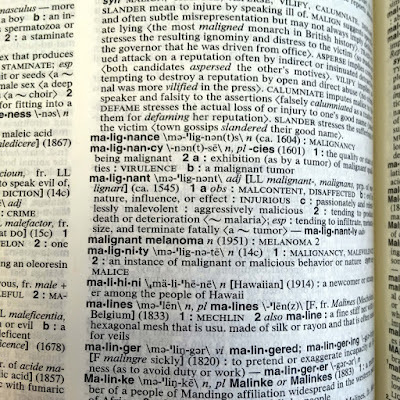 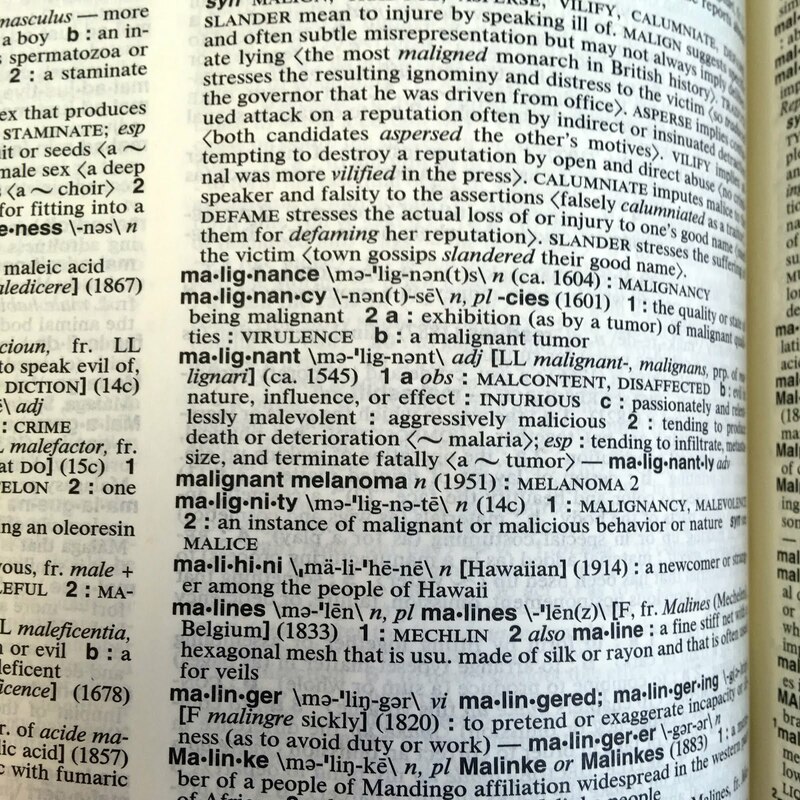 If there are no suggestions from readers, I'll open the dictionary at random and pick a word.